We are delighted to announce that the Vault 2014 Asia Pacific Consulting Rankings are here! As a region that is home to around two-thirds of the world's population, and a number of rapidly developing economies, Asia-Pacific is key to the future of the global economy. That presents opportunities for anyone in the consulting industry, from those looking to leverage manpower in the region to provide offshore services to clients elsewhere in the world, to those seeking to identify business opportunities within the region itself. The data from this year's survey indicate that, despite some concerns over the slowing of growth in the region, Asia-Pac-based consultants remain bullish about business prospects in the region. It also demonstrated that firms are aware that, to take advantage of those opportunities, there is a greater need than ever to attract and retain the best talent possible. That can be seen most clearly in McKinsey's improved showing in the Best to Work For categories, which saw it emerge as the top firm in the region. But the level of competition in the industry means that firms such as Bain, Crescendo Partners, BCG, Booz & Company, Oliver Wyman, Mercer and Accenture—which all performed strongly this year—are also great places for those looking to start or further a consulting career in the Asia-Pacific region. As mentioned, McKinsey dominated the Vault Asia Pacific Consulting Rankings, earning the title of the Top Consulting Firm, based on an overwhelmingly strong performance in the Best to Work For rankings, where it took the top spot in 12 of 22 categories. McKinsey also remained the Most Prestigious Consulting firm and continued to shine in the Practice Area Rankings, taking the No. 1 spot in eight separate categories. The impressive performance pushed McKinsey past last year's top firm, Bain & Company, which also performed strongly in all categories. The rankings are based on the results of Vault's annual Consulting Survey conducted earlier this year. More than 500 consulting professionals of all levels across the Asia Pacific region assessed their peer consulting firms on a scale of 1 to 10 based on prestige and practice area strengths (respondents were unable to rate their own employers and rated only firms with which they were familiar). Consultants also rated their own firm on a variety of "best to work for" factors in such categories as firm culture, compensation, overall satisfaction and hours, among others. For the purpose of the Asia Consulting Ranking, a weighted formula was used to combine findings from both prestige and best to work for ratings to create the overall "Top Consulting" category. Supporting McKinsey & Company's first-place finish, one employee pointed to the firm's "quality of clients and work," "fantastic people," and "collaborative culture." Another survey respondent praised the firm's career development initiatives, stating that McKinsey offers "the fastest learning and development curve of any firm I know of. But the real development that the firm and I are proud of is personal; I can't imagine any other institution investing as much in my personal development." Last year's top firm — Bain & Company — came in a close second place. 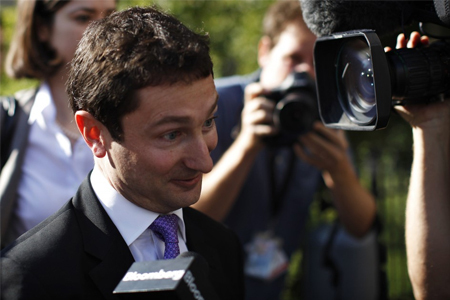 Bain consultants expressed great loyalty to their firm. "Bain has come a long way in the 10 years I have been working there — there is a constant effort to make the workload sustainable," said one firm employee, while another added, "I feel like with Bain I am able to carve out a path which allows me to follow my passion." Crescendo Partners made their debut in the rankings this year at No. 3, with strong best to work for category scores. The Australia-based firm's employees appreciate Crescendo's "great work-life balance," "large exposure to clients at a junior level," "travel opportunities," and "steep learning curve." One survey respondent noted that "Crescendo understands the importance of balancing a fun environment with one that is constantly striving for excellence." Crescendo's emergence in this year's rankings forced Booz & Company and Oliver Wyman down one spot each, to No. 4 and No. 5, respectively. A.T. Kearney remained in the No. 6 spot. Moving up to No. 7 was Alvarez & Marsal, a firm that was also new to the rankings this year. "This is a great place to learn leadership skills," said one Alvarez & Marsal consultant. "It will make you a better manager than any of the top strategy firms." L.E.K. Consulting made a big jump from No. 13 to No. 8 this year. "L.E.K. has made a real effort to improve work/life balance and I have seen a significant improvement over the last two years," explained one survey respondent. "Hours have also dropped a bit despite record revenues. Most importantly, travel is kept to a bare minimum, so you can actually maintain a life in your home city rather than living out of hotels." Rounding out the Top 10 are OC&C Strategy Consultants and Roland Berger Strategy Consulting, both of which dropped two spots, to No. 9 and No. 10, respectively. Now more than ever, job applicants are putting job satisfaction over prestige. Name value is no longer enough for candidates who want better benefits, more pay, and a superior work-life balance. With respect to these quality of life standards, no two firms performed better than McKinsey and Crescendo Partners. In each of the 22 Best to Work For categories featured in this year's rankings, the No. 1 spot was occupied by one of the two firms. McKinsey took the top spot in 12 categories, including Formal Training, Informal Training, International Opportunities, Internal Mobility, Client Interaction, Benefits, Green Initiatives, Philanthropy, Innovation in the Industry, Hiring Process and Business Outlook. The firm's turnaround in Best to Work For scores challenges conventional wisdom about the firm, according to one employee who said the best part of working at McKinsey is the "coworker relationships. People across different levels are friendly with each other. It was a pleasant surprise, as McKinsey typically gives the image of being a cut-throat company." Proving that boutique outfits can compete with the bigger players when it comes to employee satisfaction, the remaining 10 categories belonged to Crescendo Partners. The firm was ranked No. 1 in Overall Satisfaction, Firm Culture, Promotion Policies, Ability to Challenge, Supervisor Relationships, Work Hours, Travel Requirements, Work-Life Balance, Compensation and Firm Leadership. "Crescendo Partners understands the needs of each and every one of its employees, particularly when it comes to work/life balance," said one consultant at the firm. "For example, past employees have had arrangements to finish early on time to pick up children from school, part time arrangements, etc. Further, working hours and conditions are very favorable — there is a culture of not working on weekends." Other news coming out of the Best to Work For Rankings surrounded the sheer volume of favorable Business Outlook scores from consultants at firms surveyed this year. "The outlook scores were promising across the region," noted Stott. "With the recent surge in the Japanese economy, coupled with the improving global outlook, consultants seem genuinely optimistic about the future, and there's a palpable sense of anticipation about the future. 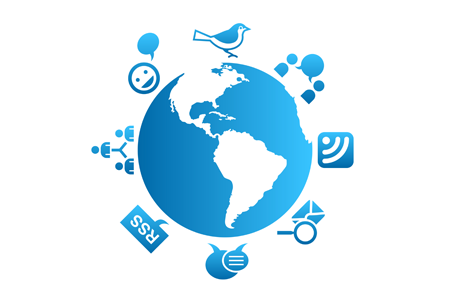 It's definitely an exciting time for the consulting industry." Enjoying where you work is important, but prestige still matters to job seekers looking to have the biggest and best names on their resume. According to industry insiders, McKinsey & Company still reigns as the most prestigious firm in the consulting world, once again edging out Boston Consulting Group and Bain. Survey respondents described McKinsey as the "cream of the crop," a "known leader," "prestigious," "innovative," and the "firm to beat." The firm also performed strongly in the Practice Area Rankings, retaining their No. 1 spot in Management Consulting, Economic Consulting, Energy Consulting, and Financial Consulting. The firm also overtook Accenture for the top spot in Operations Consulting and Boston Consulting Group for No. 1 for Healthcare Consulting. McKinsey also ranked No. 1 in Strategy Consulting, a category won by Arthur D. Little last year. Rounding out the firm's impressive accomplishments, McKinsey was ranked No. 1 for Retail Consulting, which, along with specific IT Consulting categories, was ranked for the first time in the Asia-Pacific region this year. 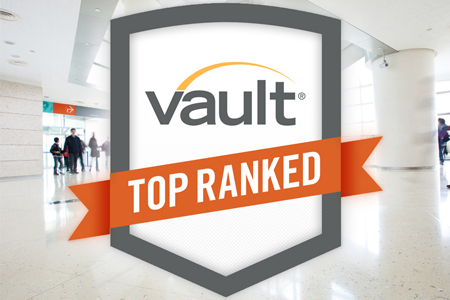 Vault's 2014 Consulting Rankings are Here!